24/09/13 – Confirmed Dan Burke as graphic artist, Troy Miles as developer. 22/09/13 – Screenshots added and other scans too relating to the game. 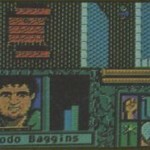 Even though this game made it out as a graphical text adventure, Lord of the Rings was to also be a RPG version of the game which was to be made as the last phase of C-64 releases by Interplay. The american-based team finished off the game and actually based the SNES version on the finished C-64 game. Charles Deenen/MON made the music for it, a great couple of tunes which have sneaked out and are available in the HVSC. 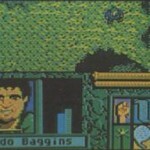 The game was eventually released just on the Amiga in 1991, but the C64 version was nowhere to be found. 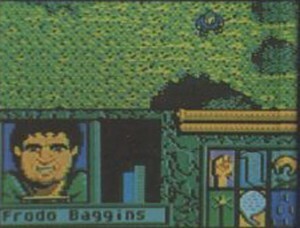 In 2013, research in the May 1990 edition of The Games Machine showed a special article on the production of the game, where we finally learn of the developer’s name – Troy Miles. Shortly after we learn that Dan Burke was the graphic artist on the game. 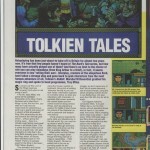 In the article were also some screenshots of the C64 game, so here they are! Now we have some leads in place – we really hope to learn more about what happened to this conversion. Dan Burke was involved in the development of the Interplay title (see the end of -> http://www.neswarpzone.com/burke.html). Charles Deenen could possibly shed some light on who worked on the C64-version, since this was his first in-house job at Interplay. Thanks Twoflower, updating the entry accordingly and have contacted Dan! I spoke to Charles before, but sadly he didn’t recall anything about the game’s development.